There were two contenders as one of the designers from Trinidad could not make the event. Representing the Turks & Caicos Islands was designer Raynelia Howell, and from the Dominican Republic was Georgina Estherr. Judging in the competition in 'Project Runway style' hosted by Nick Verreos of Nikolai Designs were judges Jay McCarroll, Louis Sarmiento, and Simons Collins. After presenting their outfits the designers had to also answer a series of questions from the judges. 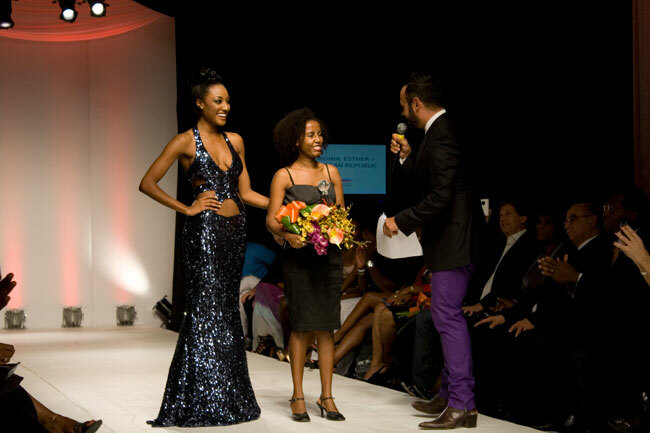 The winner was not announced until closing night, and Georgina Estherr came out as the shining star with her runway and red carpet ready creations. When asked by one of the judges why should she win she responded, "Because I have always 'felt' like a designer". 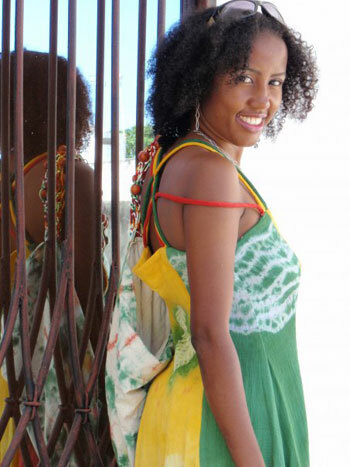 Estherr said, "I was born in 1977 in Santo Domingo, but I always lived in a little city called Boca Chica. I was the first born and have 5 brothers. My father abandon us when I was 5 years old. My mother was always sewing and I would watch her." "When I was able I began to study fashion at the University in Santo Domingo. It was difficult as I would get out at 10pm and would not get home until midnight having to take the city bus, in a dangerous place," she continues. "I bought my first sewing machine after selling something I made to tourists on the beach. My mother, who had been working then in Puerto Rico later sent me an industrial sewing machine. I made a few small pieces to sell to help myself to continue to study in the university, and my mother helped me to study when she could," said Estherr. Georgina went on to say that she's participated in one fashion show in her country but it was of little benefit to her. Her life turned around when she met her current manager, Roberto Roma of Italy. After being turned down for Republica Dominican Fashion Week and later Dominican Moda, Estherr is elated to not only participate but win the Next Oscar award. "I'm sure that the the judges and representative of Parsons know more than these persons who turned me down. Many people leave the world of fashion for taking bad comments. I was lucky that my manager is so strong and told me "I came from Italy, I know about fashion... not these persons, let me do the work, and you think about the collection.. He told me we would participate soon in a real fashion week, and we did!" "Getting my collection made for Fashion Week was a great challenge for me, as I had little help and we do not have electricity for a full 24 hours, and so most of the time I had to work during the night. My manager went to Italy to buy the fabrics to give my collection more value. I was unable to finish the intended 25 dresses and instead had only 17 for the show." "It was a hard year, but at the end I only want to say thanks to all the people that helped and have supported me toward this achievement; my manager Roberto Roma, my mother who came to The Bahamas with me and worked with me those last two days before my show to help me finish the collection - we were lucky to find 2 sewing machines backstage; to Mr Owen Bethel, the president of the Islands of the World Fashion Week to give me this big opportunity; and THANK YOU BAHAMAS!" said Estherr. When asked about what's next in her career, Estherr told us that she has another show coming up in Atlanta and will be working on another collection for it. She also intends to move countries because she said, "I need to work, and have the necessary conditions to work." Keep on designing and sewing Georgina!